I've been tinkering with my wings and am going to try and re-route the cooling system to eliminate the flat radiator in front, maybe with a couple of smaller radiators in the frame crotch under the seat. ANyone try this yet? are the pictures gone from the thread or do I have something wrong with all 4 puters ? this thread was created back on the original Steve Saunders software. When Motorcycle.com purchased the forum, they wanted to change it over to vBulletin so that it would be the same software they use on all of their other forums. pissed all of us off, but it can't be helped. once done, it was fatal. Well, I guess that answers that. Thanks for the very thorough answer. This is for anyone else who tries this mod. I went a step further and shaved 0.025" which was okay. I had head gaskets go 3 times before I realized the guy who planed my heads didn't take enough off up by the water exit. Fixed that and decided to go to near 0.040" using an 0.032" copper gasket and a little more shaving. Because this has solid lifters I figured the redline for the 1200 would be similar to the 1000 so I ran it there occasionally. I believe I have also had a slight cracked head for three years now because it would occasionally under high rpm shoot a bunch of coolant out. I kept thinking it was the gaskets. I'm afraid it was a crack that only opened up at higher rpm or combustion pressure. I finally swapped that head and it appears to have cured it. A. 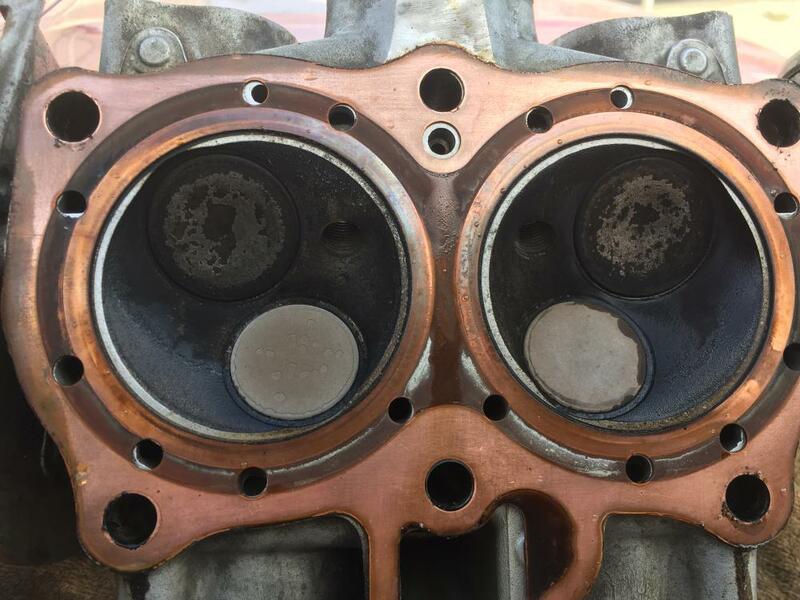 High rpm and 0.032" gaskets and the pistons begin kissing the heads. B. I'm really blessed. Or lucky. Your pick. The caution I'm throwing out is to not go less than stock or minor planing of the heads. 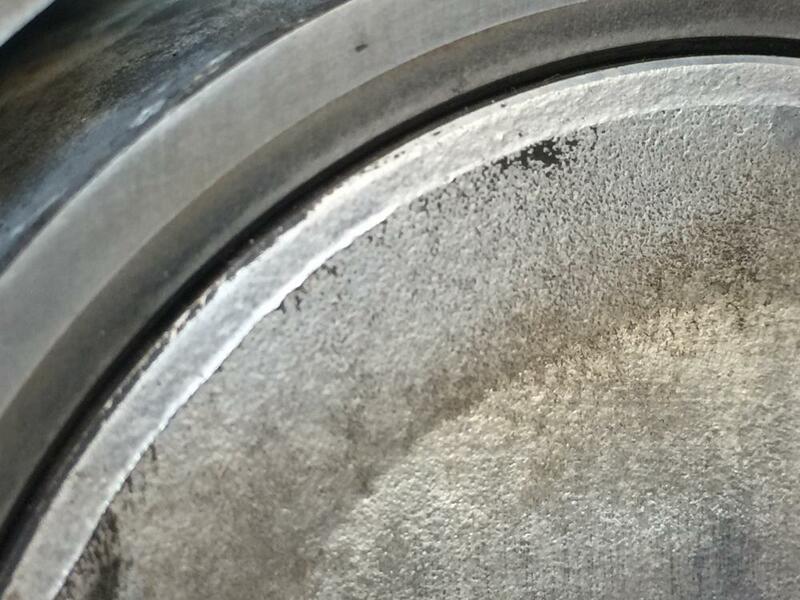 To do it right, you also need to enlarge the outer 4mm of the combustion chamber so the piston won't hit the heads. The 1000/1100 piston edges stay in the block, the 1200 comes up out of the block a litttle. Stick with the stock thickness head gasket which I think is 0.40". What happened to Steve? He is one of the good guys. Hi Steve . Welcome back . I hope your life challenges are diminishing and all is on the road to normal.